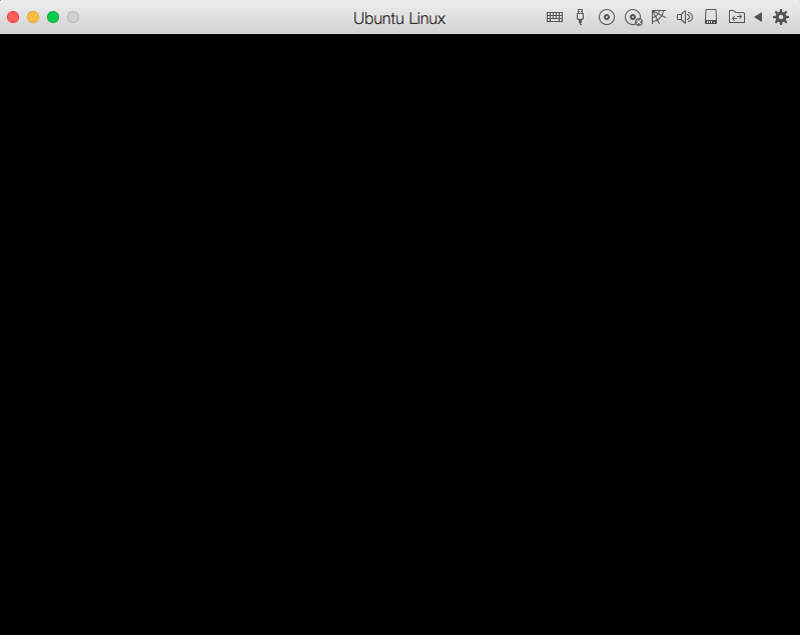 Black screen on first boot of virtual machine after installing Ubuntu Server 14.04.4 LTS in express mode. Issue can be resolved by using either one of two methods listed bellow. 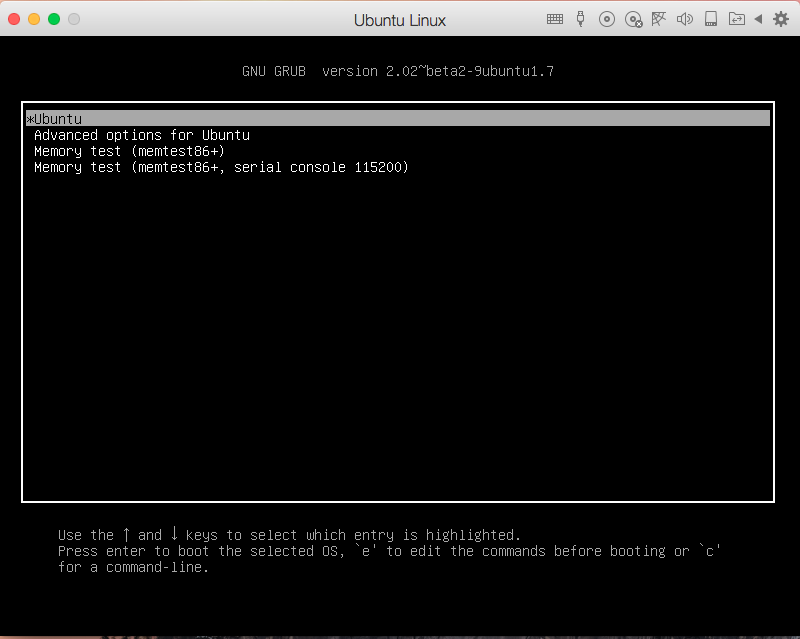 Open the virtual machine Configuration pane > Hardware > Boot order and check "Select boot device on startup". Start the virtual machine and make its window active (click on it). 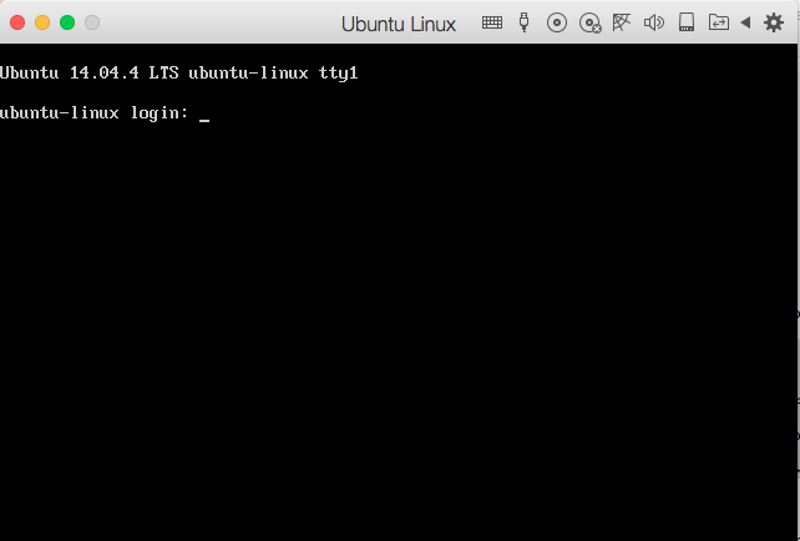 Start Ubuntu server virtual machine, then press Esc when prompted. Press 1 to select boot from Sata drive 1. 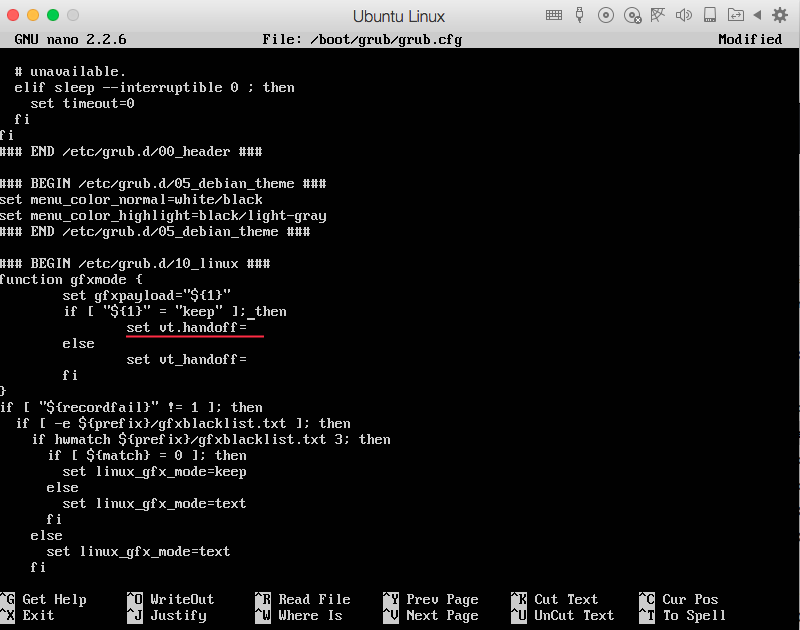 Remove parameter vt.handoff=7, then save changes by pressing F10. 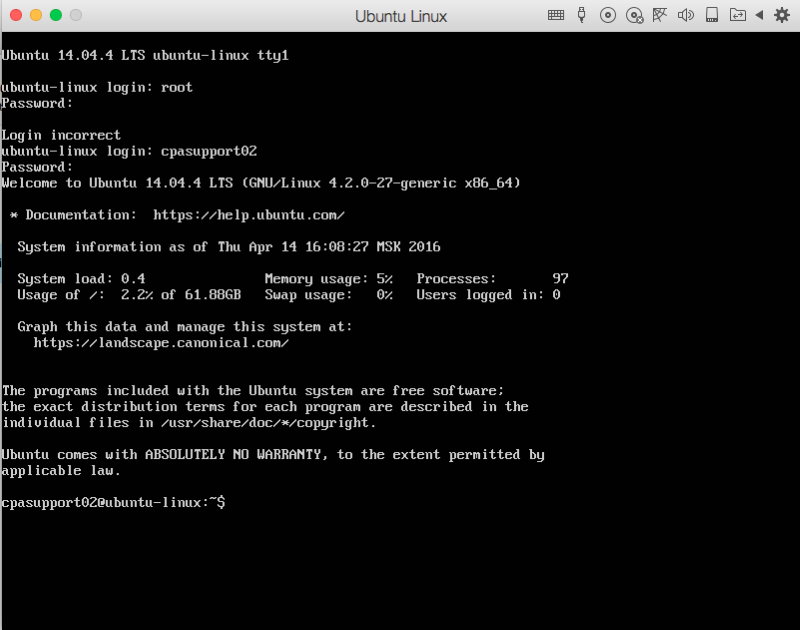 Boot system as usual. 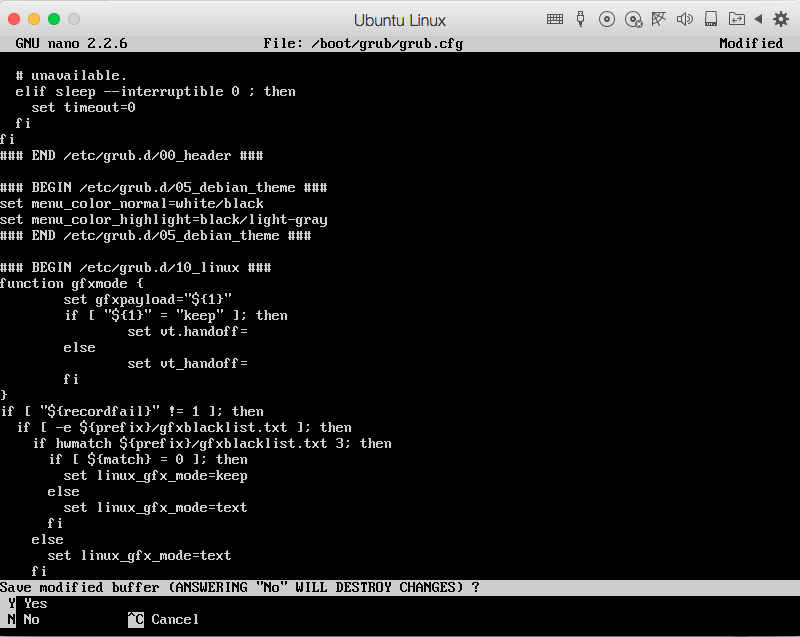 If there are many boot configurations in GRUB, remove vt.handoff=7 from all of them in the same manner. 2. 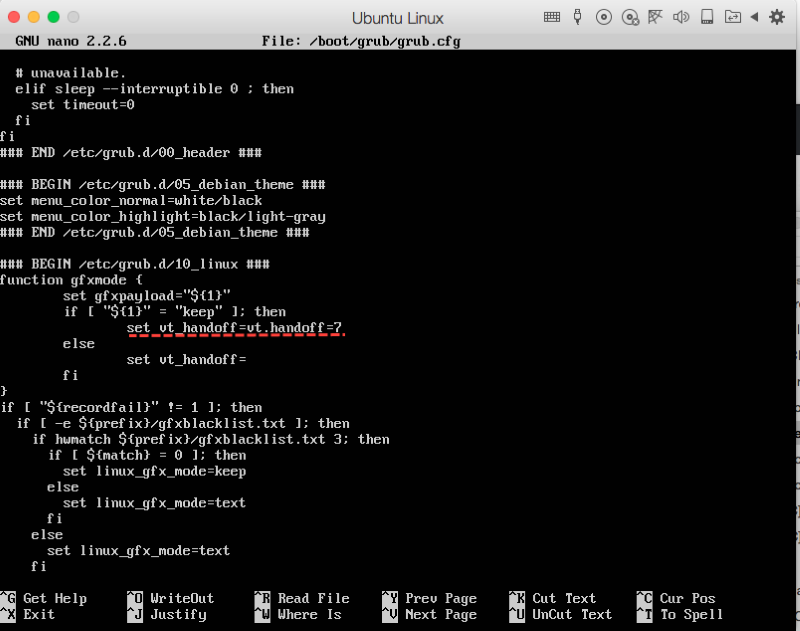 Switching Linux console window and manual editing grub.cfg method. 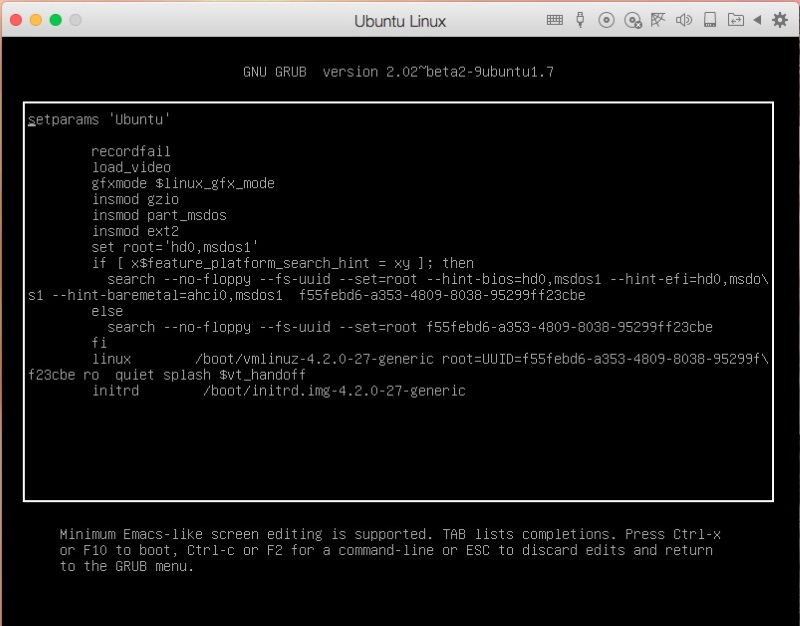 Start Ubuntu server virtual machine. Wait till you get the black screen. Press Alt+F1. 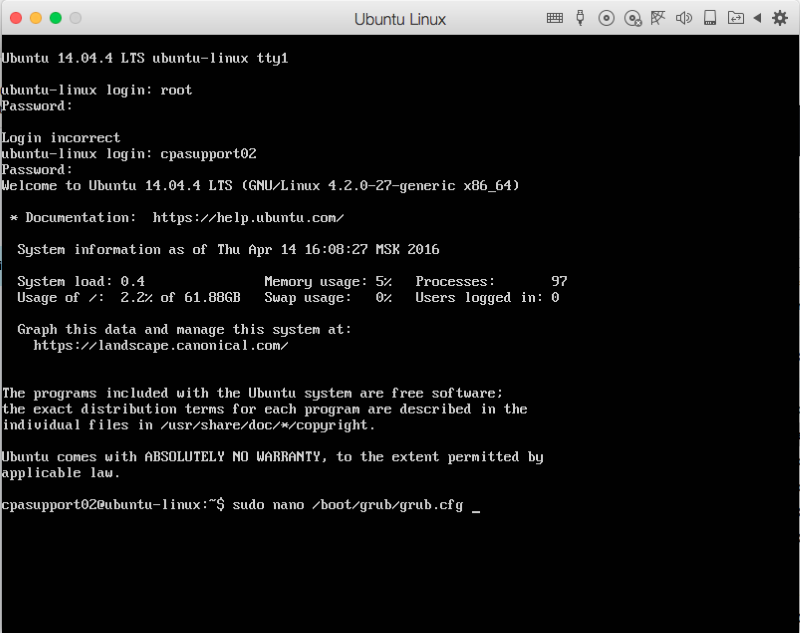 This will allow you to switch to a different Ubuntu server console. Input your username and press Return/Enter, now enter your password, then press enter.